A week ago, my buddy who works in comedy took me to see a movie I knew almost nothing about. 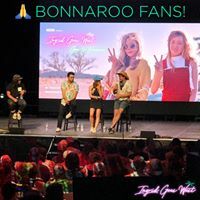 It was getting great reviews, so in I went, blind as a bat, to see Ingrid Goes West starring Aubrey Plaza, Elizabeth Olson, Wyatt Russell, and Billy Magnussen. Directed by Matt Spicer. What a time it was. 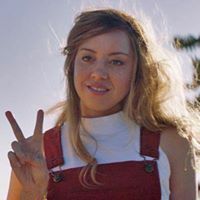 A quick logline; A young woman, Ingrid, who has just suffered the loss of her mother moves west to Los Angeles to pursue and befriend an Instagram model who lives the “perfect” life. Anyone who has interacted with social media knows the fraudulent nature of it. It’s the sliver of life that everyone wants you to see – even strangers. When Ingrid can no longer make life work for herself at home, she takes the $60K her mother left her and travels to the land of perfect Instagrams and model living: Venice Beach, California. 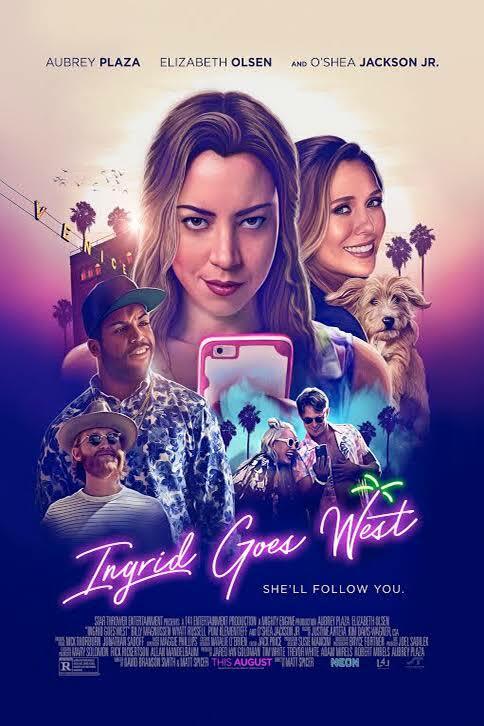 Ingrid Goes West was an expert satire and commentary on the way the under-30 generation is addicted to technology and social media; how they love the semblance of living a certain way, but cannot truly commit to or claim any single style or habit because they are always onto the next thing. The movie is a genius mockery of and serious warning to those trying to impress the masses through exploiting pop-lifestyle, as well as the lemmings who follow. This movie was a trip into the psyche of the psychotic. Ingrid is not a healthy, young individual, but rather a girl stressed out and depressed by her inability to fit in with every basic girl. Ingrid is beautiful, but has no friends. Ingrid is smart, but cannot decipher social norms. Entire minutes are spent watching her scroll through her Instagram feed, serially liking photos of people, places, and things she doesn’t have any personal attachment to. But because others who have thousands of followers have decreed it to be something “cool”, she buys into it. For whatever reason, Ingrid does not know how to function in the real world. She cannot forge relationships or friendships, often based in commonalities people find with one another, because she has no beliefs or confidence in herself. If the first rule is to know thyself, Ingrid has failed it. She is so lost in the Me Generation that she doesn’t really know who she is. Part of the fun of seeing this movie in theaters is watching and hearing how others react to the incredibly awkward and socially uncouth situations Ingrid gets herself into. The story is (sadly) relatable, and though it is marketed as a comedy, a majority of laughs were brought on by her ineptitude and bold behavior. She is extreme in her desire to live with photogenic, bougie extravagances. What Ingrid does to get the Instagram model’s attention, however, is beyond daring to onlookers. Her actions and decisions are all based on wanting to become this girl. She has no sense of self and sees this model as an actual role model. She buys all the same purses, eats at all the same restaurants: a professional copycat. The audience was in shock. It was the kind of laughter someone has at a funeral when they just don’t know what else to do. The end of the film makes a serious commentary on what happens to people like Ingrid, and it isn’t good. The ending is open-ended, although neither ending is truly happy. It certainly had me laughing and talking with strangers outside the theater about what the heck we just saw. If anything, the movie makes the slightest suggestion to Generation Me to build character, find real role models that advocate for more than a new over-priced pair of shoes, or the next avocado toast. It’s about finding yourself in the maze and living a full life, sincerely, without the fear of what social media thinks of you. How Does Ingrid Goes West score on the Women-o-Meter? (Reviewer's note: Although, “making good decisions” isn’t what comedies are made of).